Chimpanzees in Uganda are located in different places but habituated chimpanzees only exist in Kibale National Park located in western Uganda, Kyambura Gorge located in Queen Elizabeth National Park, Kalinzu forest located closer to Queen Elizabeth National Park and Budongo Forest in Murchison Falls National Park located in Northern Uganda. We also have orphaned chimpanzees in Ngamba Island which is approximately 23 km in Lake Victoria and can be accessed by boats. On the other hand, habituated gorillas are found in Bwindi Impenetrable National Park and Mgahinga National Park. 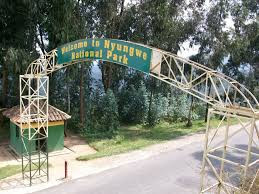 According to the 2013 mountain gorilla census,it ws discovered that Bwindi Impenetrable National park has almost have the number of mountain gorillas in the whole world while the other population of gorillas are in the virunga Ranges shared between Uganda, Rwanda and the Democratic republic of Congo.